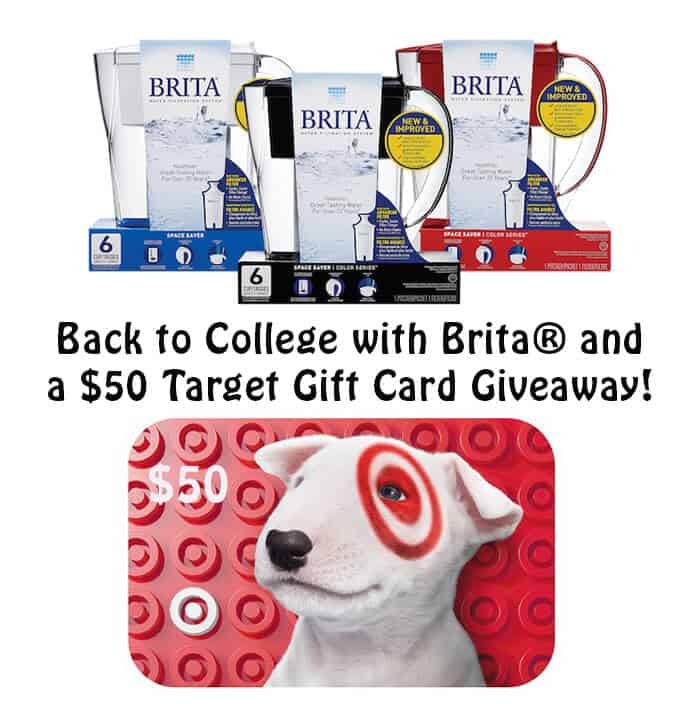 Back to College with Brita and a $50 Target Gift Card Giveaway! This is a sponsored post written by me on behalf of Brita. All opinions are 100% mine. I’m happy to be teaming with the folks at Brita® to tell you about their new Back to College essential, the Brita Space Saver Pitcher, and to give you a little help with your back to school shopping, I’m giving away a $50 Target gift card to one lucky winner! As the mom of two college grads and one current 3rd year college student, I’m all too familiar with the daunting task of preparing your children to leave the nest each year. I swear, I was adding new items to our college shopping list on a daily basis in preparation of that first year. This can be a challenging time for Mom but it’s good to have something to focus on when you’re in the midst of one of the most emotional times of your life. Being organized and thoughtful about the process is one of the best ways to help yourself. As the list grows, you will feel more and more comfortable knowing they will have everything they need to feel at home in their new college home. And, if you forget something, don’t worry! It just gives you an excuse to send a care package soon after they are settled. Adam’s first year at UCSB was spent in the campus dorms and we went through the planning, shopping and packing process with this small, shared dorm room in mind. He basically had a bed, a desk, a closet and a mini-fridge. 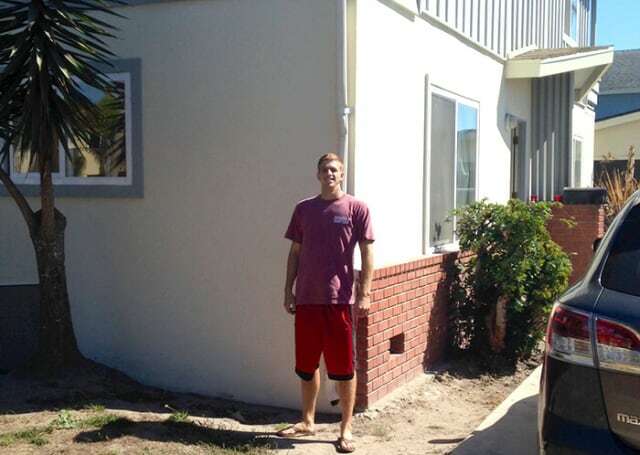 Last year he moved to this off-campus townhome style abode that he shares with 5 other guys. We’re talking 6 college guys in a very small two story structure with a teeny tiny kitchen and 3 bedrooms. Although he’s got an actual kitchen (yay! ), the space is still very limited as it is for almost all college students. Adam is an athlete and has always had a natural interest in health and fitness. Hydration is a huge part of this picture. 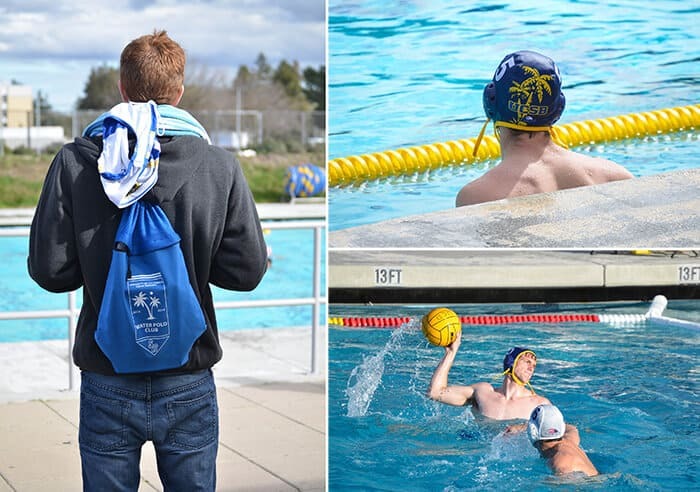 Water polo players learn quickly that if they don’t drink enough water, they pay the price with less energy out of the pool and the tendency to get painful leg cramps during games. Having cool, good tasting water available at all times is vital and encourages both college athletes and non-athletes alike to drink more. Make it easy for them to stay hydrated by sending them on their way with a Brita Space Saver Pitcher and a couple of refillable water bottles and remind them of this basic rule of thumb – they should be drinking 8×8 (8 ounces/8 times per day) to stay hydrated. It will be so good for them and will give peace of mind to Mom and Dad. Win win! Using a Brita pitcher is a better economical and environmental choice as one filter can replace up to 300 water bottles! 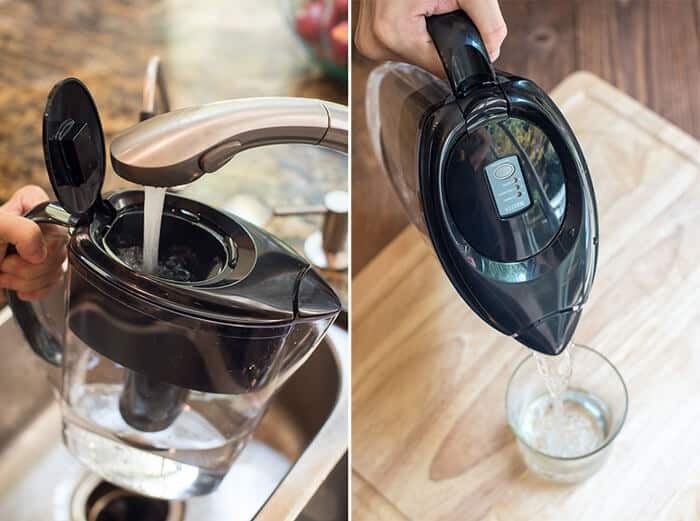 The easy-fill lid flips open for re-filling and locks for spill-free pouring and the new quick change filter is fast and easy to change. You see that little indicator on the top of the pitcher? That will tell you when it’s time to replace the filter. If you sign up for Brita replacement filters on Target subscribe and save, you will save 5% and the filters can be sent directly to your student at school when they need them. The BPA-free Brita Space Saver Pitcher was designed to fit perfectly in either a full-size or mini-fridge and is available at Target. Save 10% with the Target Cartwheel App. 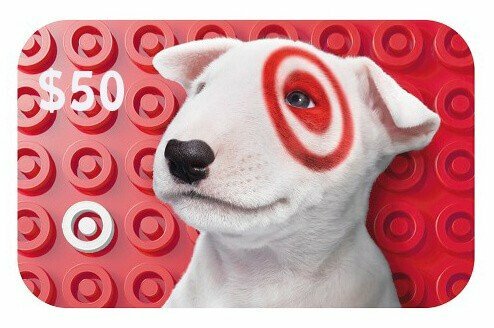 Enter to win a $50 Target gift card and get shopping! Whether you are a college student or you are the parent, grandparent, sibling, or friend of a college student – everyone is welcome to enter! Just leave a comment below and you will automatically be entered to win. 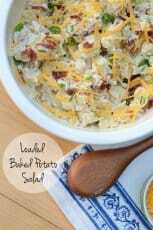 The giveaway portion of this post is sponsored by From Valerie’s Kitchen. Contest runs through midnight PST on August 22, 2015. 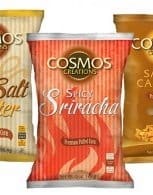 Winner will be chosen at random and contacted by email within 48 hours of contest end. Winner must respond within 48 hours of notification or another winner will be chosen. Contest open only to U.S. residents, 18 years and older, and is void where prohibited. Only one comment allowed per person. Only comments left on this post are valid for entry. Brita pitchers make a great addition when buying college necessities. OOOH!! I have a Brita but I need to upgrade . . . I need the space saving one for sure! I’m not a college student but looking into taking classes soon. Love Brita and the simplicity in having quality water at my fingertips. Thanks for the chance to enter this giveaway. Target is a great place to buy school supplies. Thanks! I am in college for nursing!!! So excited for the chance to win! The Brita is perfect for kids in college! I remember the guy I was dating in college he was living 11 people in a big country home! Wow getting 3 kids through college – good for you! My Brita filter was used daily when I lived in the dorms at school. Lots of my dorm supplies came from Target! I love this giveaway thank you!!! Brita is great. We’ve been using their pitchers pretty much since they came out. My family drinks a lot of water and it’s nice to know it’s been filtered. I love Brita pitchers, thank you! 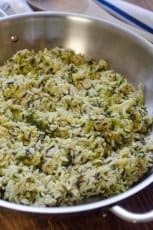 I was raised on well water, and the taste was so good. Now days, city water to drink daily tastes horrible. I can smell and taste the chlorine in it. I am sure a Brita would make it taste so much better, and much better for my family to drink. Nice giveaway. Love the info, and pics. We go through a lot of water bottles, a Brita pitcher would be nice to have. Thanks for the giveaway! Is it ok to comment that you have a handsome and accomplished son! Go mom, well done! Brita ricks! Love clean water and love Target! Brita is great, i have had one for years but think it is time for a new one. I know all too well about getting the kids off to college. I’ve always purchased a Brita for my kids, because who needs to waste all those water bottles? I’ve been thinking about getting a Brita pitcher. Great way to drink more water. Thanks for giveaway! We’ve had a Brita for years and we bought one for my son when he first headed off to college. I think it’s time that I got an updated pitcher for myself though! I never thought of Brita as a going off to college gift, but it is a good idea. Great giveaway- thank you for the chance! We just started back to school shopping. Love Target!! We have had a Brita for years now and have been very happy with it! Would love to win my daughter a new one. Three years at college and the one she has is showing wear. Thanks for the giveaway. I want a brita pitcher! Target is the best place for back to school shopping! Thanks for this great giveaway. Water tastes so much better through a Brita! I have always wanted a Brita. And who doesn’t love Target! I love both Brita and Target — great giveaway! Brita filters are incredible! Never drink plain tap water again. My little one just started 3rd grade. I cannot even begin to wrap my brain around college. A brita is a great idea for a college student and I love that it doesn’t use all those plastic bottles. Luckily I have a few years before I have to worry about packing up a kid for college, but I am already not looking forward to it! 😉 I can’t imagine how bittersweet it would be to drop them off and leave them! Target is the best place for back to school shopping! We really encourage our boys (1 & 4) to drink a lot of water. We have always kept a Brita pitcher in the fridge just to have cold water always on hand. I imagine I might need a second pitcher once my boys are High school/college aged! 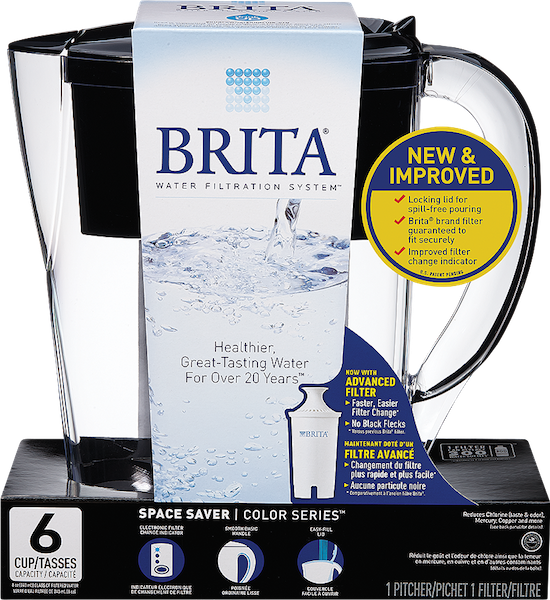 I’ve never tried Brita before but have heard great things about it! what an awesome giveaway! our little one is only 6 months old so college is not on our radar for him, but i have a lot of cousins graduating soon and this truly is a great idea for someone going off to school. Still hard to believe your baby is in college. Where does the time go! Thanks for the opportunity to win. I love Target! They literally have everything you need for college! I love the Brita brand filters! My nephew has a long list of things he still wants and needs for college. I love to spoil my nieces and nephews so having some extra $$ to buy him some things from his Target list would be great! I love the 8×8 advice. Easy to remember. Thanks! This would be so amazing for back to school. Thanks for the chance! I would love to use a Brita in my Camper! Saves so much money (and the environment) when not using plastic bottles. My college days are long passed (There’s always grad school! ), but I still love pleasant-tasting water! I shop at Target all the time and I can always use a Brita which is a great item to have especially to save money on bottled water. I could really use this gift card to stock up on baby supplies, I’m expecting my first this November! I love Brita! I keep one here with me at work. Target is a great place for all back to school needs. A Brita pitcher would be so convenient for college students! It’s also much cheaper than buying bottled drinks all the time. We are taking our youngest to move into dorm for her freshman year this weekend! A Brita water pitcher would make a wonderful item to send her in a care package as that is one thing we do not have in the growing pile of things to be loaded into the minivan and moved this weekend! BTW, I really enjoy your blog. I m going to college this would be so huge for me as a Brita is on my list and I née sheets too! Brita was always on my ‘Back-to-school’ list! Even now that’s something I ensure to take on all my trips (no kidding! ), no matter which city. I shop at target all the time, they always have great deals! I’ve always heard good things about Brita, I love Target. I’m taking fall classes to be a LPN, I’m a RN, single mom. So this would be amazing. Thank you for the chance! we love our brita pitcher! awesome giveaway! This giftcard would really help me out. I will be a freshman in college this year and so my parents are spending a lot of money paying for my orientation, the initial housing payment, and my housing deposit. They have already payed over $1,000 and I haven’t even started the essential things I will need for my dorm like my bed sheets, towels, or school supplies. This giftcard would atleast help me buy a Brita to stay hydrated during school and a few school supplies. Thanks for hosting this giveaway. Awesome! thank you so much for the chance! I’ve never tried one of these Brita pitchers, but they look so nice! Brita is the only brand of water pitchers I’ve used…yay! great giveaway! hope your son does well in college! Would LOVE to win this for a friend who needs it! I have always wanted a Brita! I use so many water bottles! I remember seeing a commercial about how much plastic waste a Brita can save and it was a lot. Would be helpful! My oldest is starting kindergarten in less than 2 weeks! ? Thank you for the opportunity. I am so happy with our Brita! The water dispenser in our fridge just broke so this would be perfect! Great style, hope to win this! I didn’t know you could get cramps from not drinking enough water. How ironic that must be to water polo players having that experience. I love Brita! This would be fantastic to win!! Thanks for the chance! I love Brita water pitchers and Target shopping. My family loves Brita and Target! I wish I had a Brita when I was in college! I love to drink water, but need a good filter for my tap water. I think a water filter is great college gift. My son is a senior this year and I have two grand kids starting school. Brita is awesome and so is this giveaway! Brita is a great filtration product! The water tastes sooooo good. Thank you for the opportunity. We love our Brita! Thanks for the chance to win this would sure be handy for back to school shopping for my son! Two of my favorite things: Target and delicious water! What a great giveaway! My son will be a senior in college this year. He always has a Brita pitcher in his frig because he can’t get used to the city water in the dorm. We love using our brita, but right now we have run out of filters and have to get more. Thanks. I love Brita pitchers! Thanks for the opportunity to win and share the Brita love! The difference between water out of the faucet and filtered is amazing! I’m so grateful for companies like Brita! Im gonna be a freshman! This would be so great! It would definitely save me form buying water all year! Absolutely love Target’s selection of office supplies and dorm accessories! Awesome! 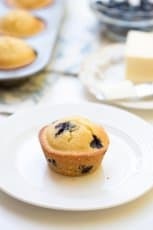 Enjoying all your recipes. Brita water pitcher would be a great addition to my kitchen! Great tasting water! Great giveaway. Love your site!